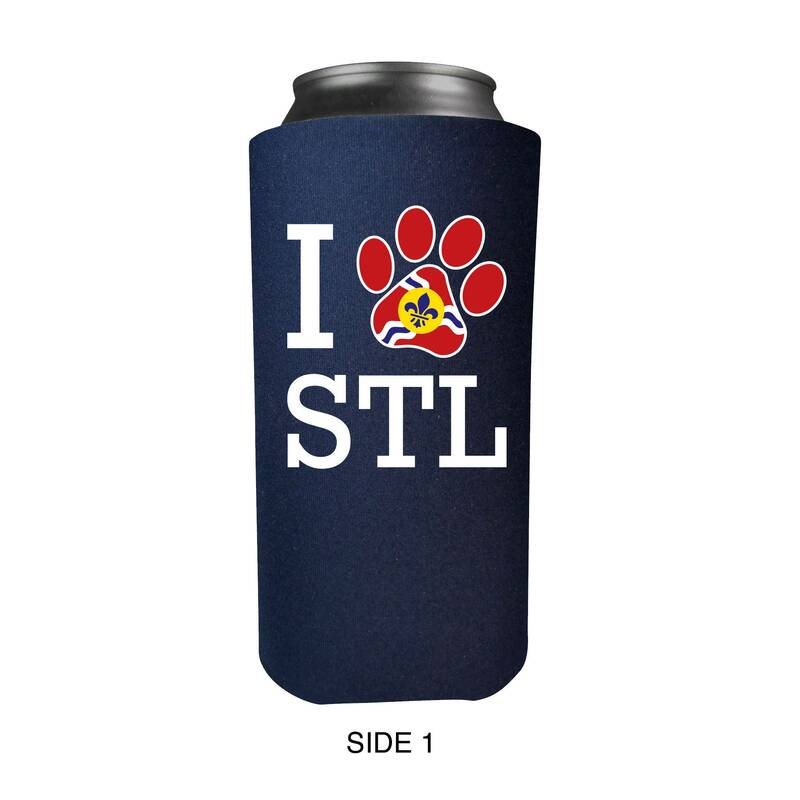 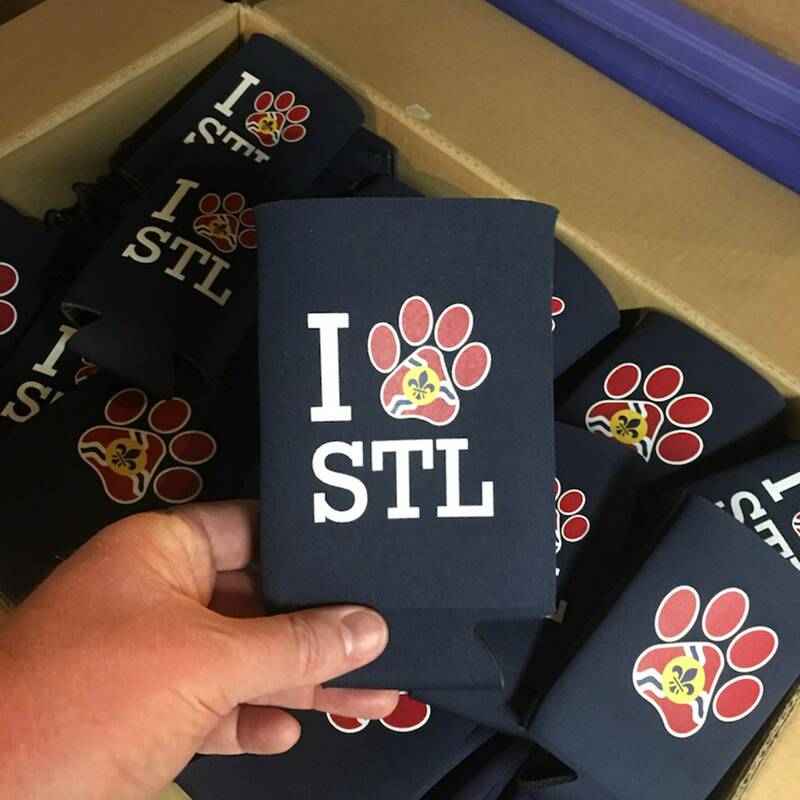 Show your love to St. Louis with this Paw STL Can Cooler by Benton Park Prints. 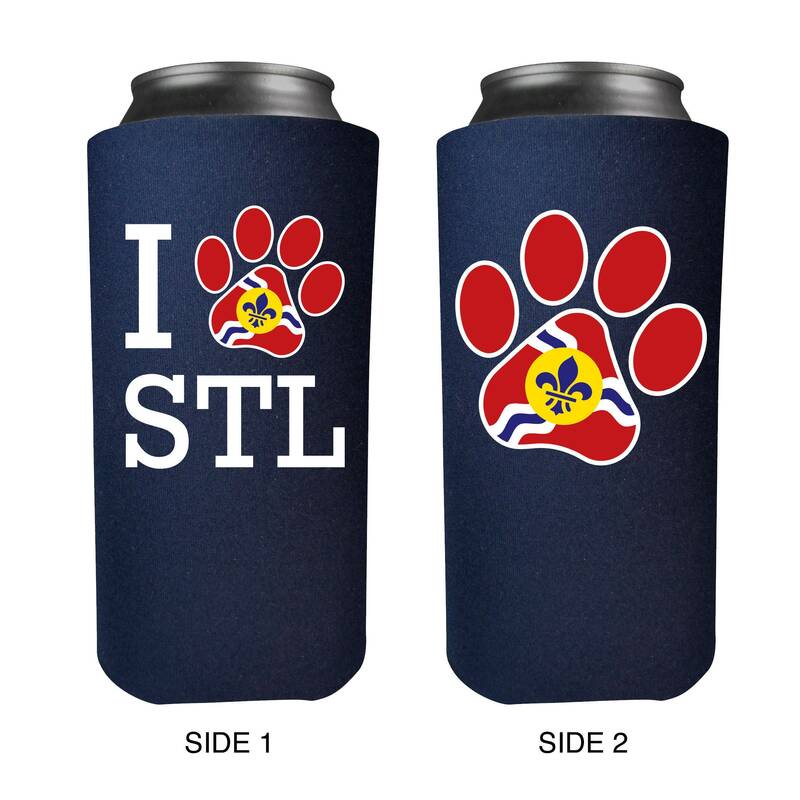 Fits most 12oz. 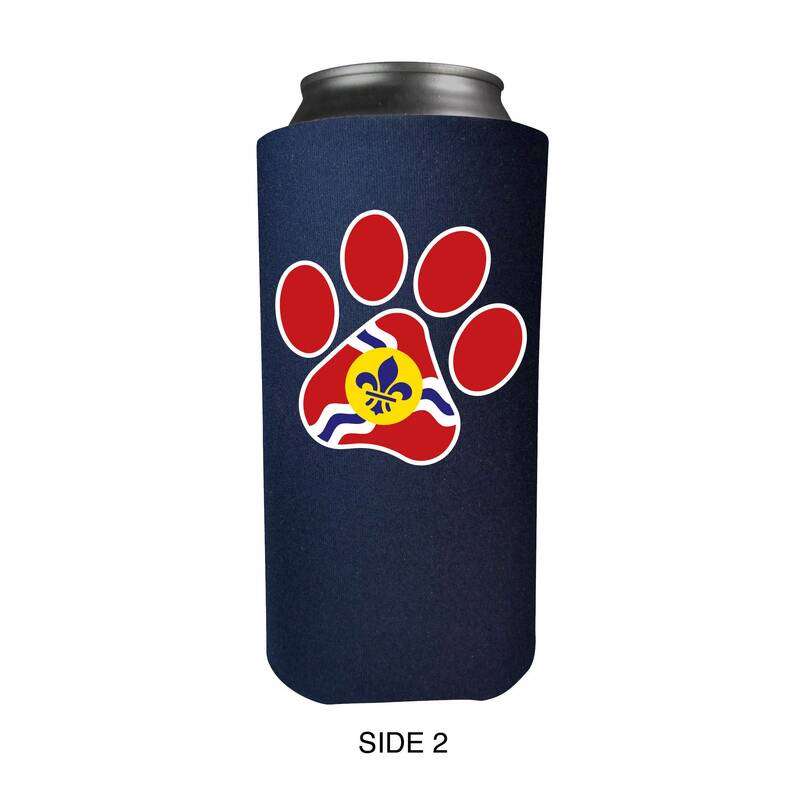 or 16oz cans and is made with polyurethane foam for premium insulation.